Under federal law, eligible veterans can collect tax-free disability benefits if they sustained a service-connected injury during active military service. 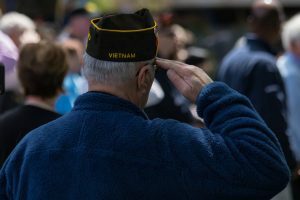 Fortunately, veterans who were injured while in training or while on inactive duty can still collect benefits, though they must file a claim with the state government to do so. For help navigating your own claim, you should consider speaking with an attorney as soon as possible. It is especially important to contact a VA accredited attorney, as only lawyers who have been accredited by the VA can help veterans file, present, and appeal disability-related claims. Disabilities presumed to be service-related, even if they didn’t manifest until years later. Once a veteran’s injuries have been identified, diagnosed, and rated on a scale of ten to 100 percent, he or she will begin to receive monthly payments to cover medical treatment, loss of working time, job training, and rehabilitation. Those who served in certain wars automatically receive disability benefits. For example, Gulf War veterans who suffer from chronic multi-symptom illnesses and undiagnosed conditions with no medical explanation can collect benefits if they can prove that their symptoms appeared during the Gulf War or by at least 2011. Alternatively, veterans who served in the Vietnam War between 1962 and 1975 are presumed to have been exposed to deadly herbicides like Agent Orange, which has been linked to a variety of illnesses, such as soft tissue sarcoma, Hodgkin’s disease, multiple myeloma, and respiratory cancers. Similarly, prisoners of war (POWs) are automatically eligible for disability benefits if they suffer from anxiety, heart disease, stroke, or psychosis, regardless of how long they were imprisoned. In fact, any former POW who was imprisoned for more than a month is presumed to have suffered from certain illnesses, such as malnutrition, peptic ulcer disease, cirrhosis of the liver, and chronic dysentery. Many of these illnesses are extremely dangerous and require long-term medical care, so veterans are urged to seek aid and attendance benefits, in addition to disability pensions. As a VA accredited attorney, James R. Comerford is uniquely equipped to help veterans apply for benefits to help compensate them for losses suffered as a result of their military service. To schedule a free consultation with a dedicated attorney who can help you with your own VA claim, please call The Comerford Law Office, LLC at 312-863-8572 or send us an online message today.